Carrickmannan is a large rural townland south of Ballygowan, County Down. The official spelling ends “an” but I often see it spelled “on”, like this sign at the local school…. 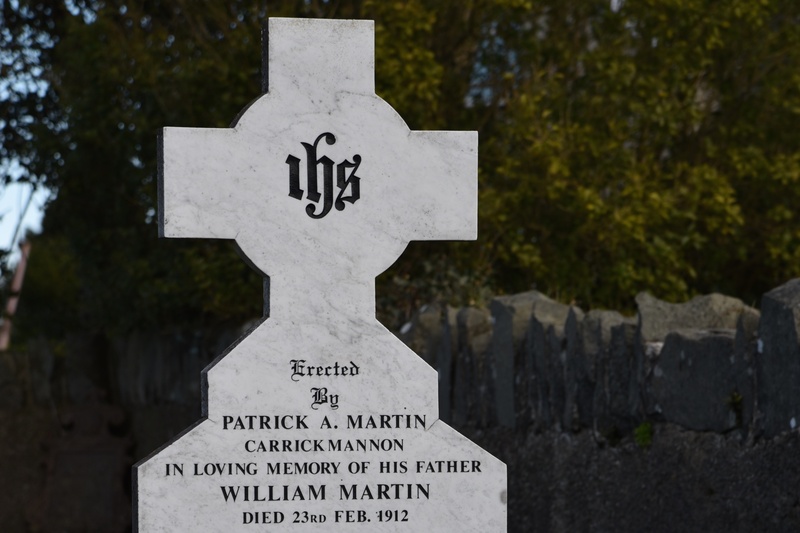 ….and on this gravestone for the Martin family…. 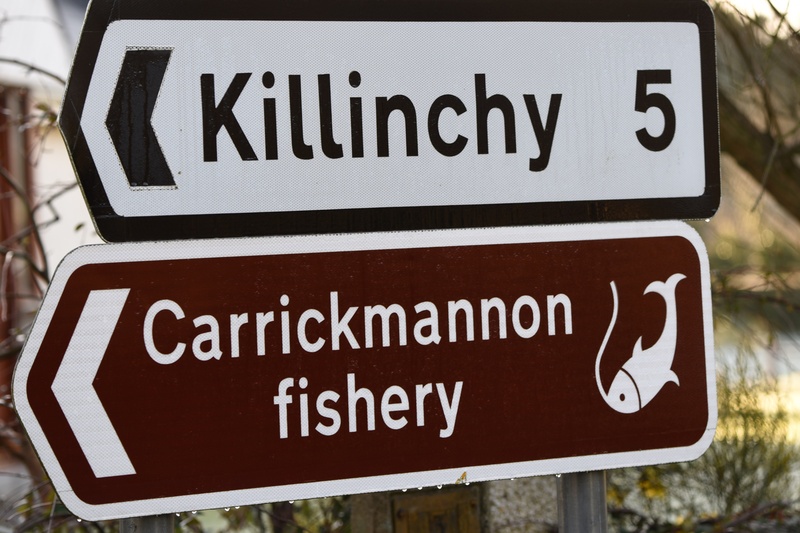 … .and on this sign for the fishery. The townland stretches from just outside the town of Ballygowan along the Carrickmannon Road past its junctions with Kilcarn Road, Station Road, and Lough Road. By the time you reach the intersection with Drumreagh Road, you have left Carrickmannan and entered the townland of (wait for it) Drumreagh. 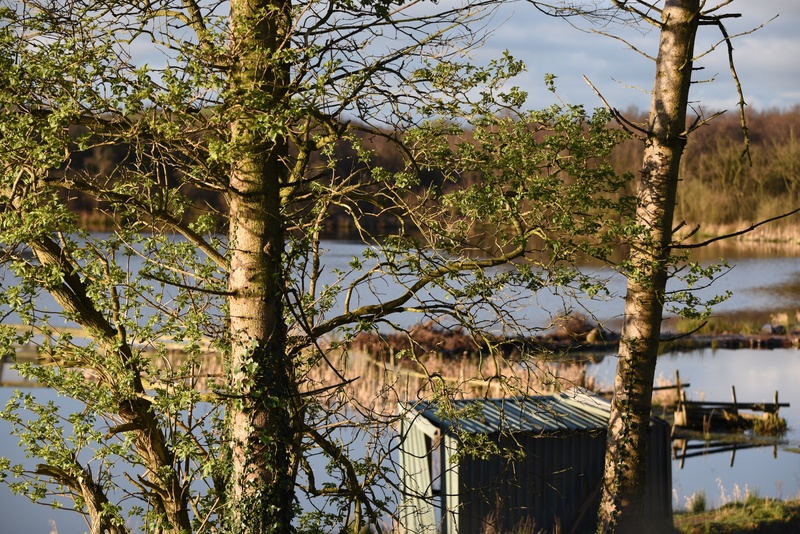 It’s easy to find Carrickmannan Lough on Station Road. 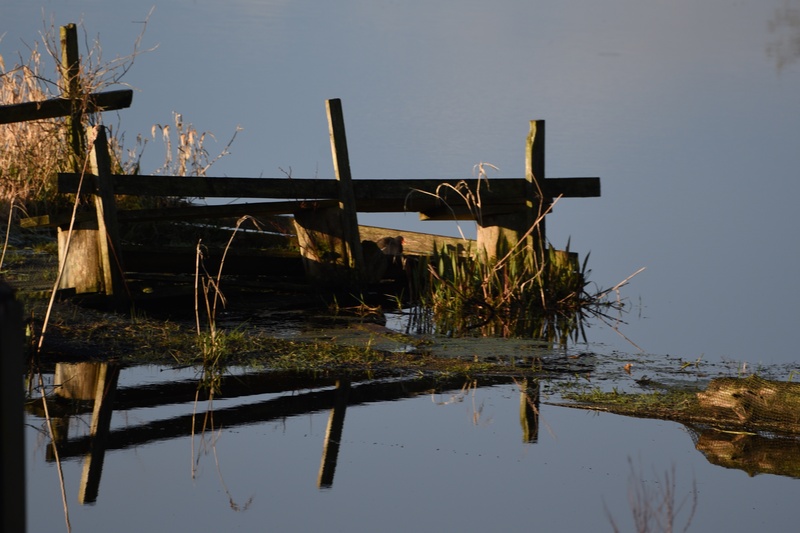 I arrived there too early to fish, but it looked like a lovely place to sit and contemplate how the townland got its name. According to the PLACENAMESNI website, the name Carrickmannan comes from the Irish Carraig Mhanainn meaning “Manannán’s rock”. Manannán Mac Lir is a sea god who has given his name to many watery places in Ireland. Legends link Manannán with invisibility and a cloak of mists, but his most recent disappearing act was on Binevenagh Mountain, County Londonderry. A sculpture of Manannán was stolen from there in 2015. A replacement sculpture is back in place – let’s hope it stays put. Click here to read the BBC report on the theft of the sculpture. And click here to read about the replacement. Away from the lough, Carrickmannan is mostly farmland, which looked like this when I visited in March. 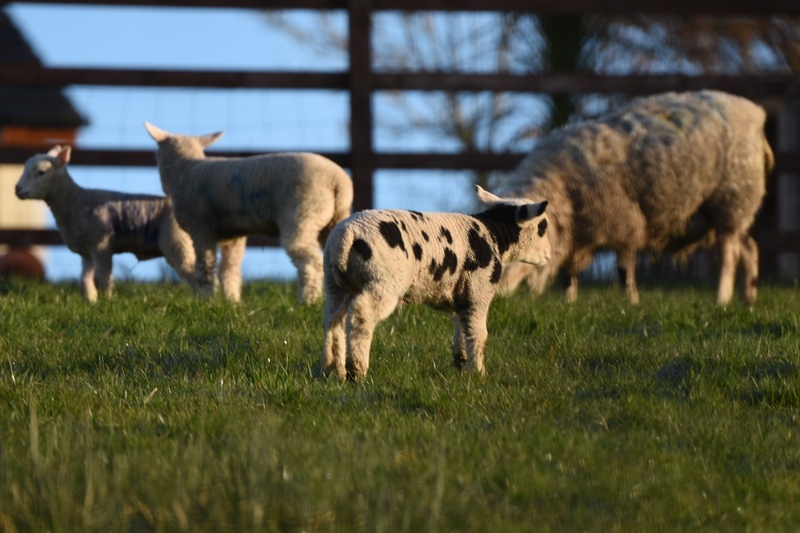 On my most recent visit to Carrickmannan in April, the farmland was looking sunnier, with new lambs. 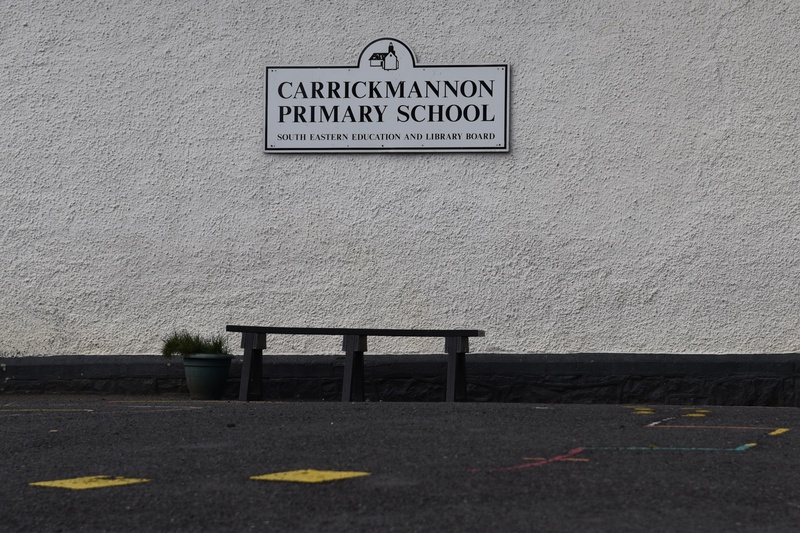 Which townlands border Carrickmannan? To the north, Ballygowan and Magherascouse. To the east, Drumreagh. To the south, Barnmaghery, Aughnadarragh and Carsonstown. To the west, Ravara. 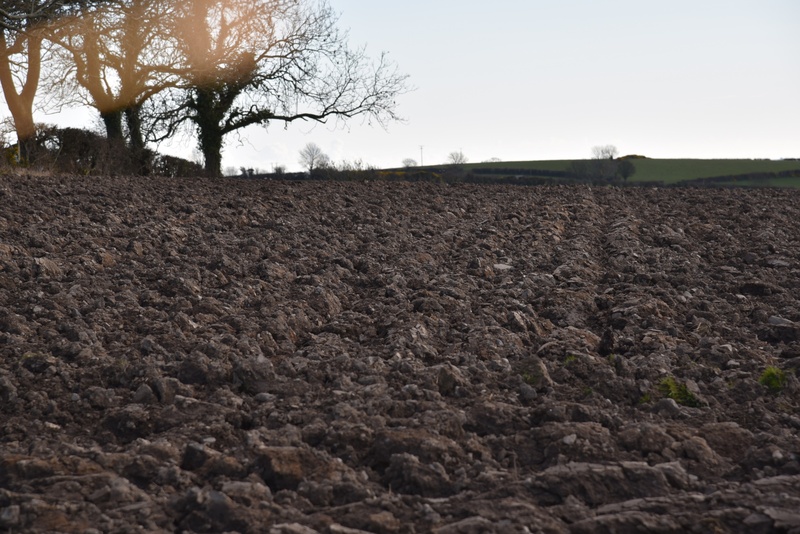 And finally, click here to read more about the history of the townland name on PLACENAMESNI.org. I love the statue! What sort of idiots would steal and deface it??? Glad to see it has been replaced. Idiots with extreme religious views, it seems. Hard to imagine how anyone thought that their God would be hurt by a statue of old Manannan. Oh that is even worse! I thought it was just some rowdy hooligans.